Some neighborhood venues defy definition, blurring the lines between categories as they set out to fill a niche in the community. Good Neighbors and Wild Goose Meeting Houses of Colorado Springs do just that. The sister cafes offer everything from specialty coffee and great food to craft beer, cocktails, and wine—anything that helps facilitate any kind of getting together, whether that’s a family gathering, business meeting, studying for finals, or listening to live music. They recently launched a new drink menu, and it features Montanya rum. Here, Taylor Ashely, Front of House Product Lead, gives us a look at their new menu and his take on great cocktails. Montanya Distillers makes its home at the end of the road in a mountain town, but the remote location doesn’t keep owner and CEO Karen Hoskin and her family from exploring the world. Her pursuit of quality spirits takes her from hidden gems in the Colorado Rockies to the busy streets of San Francisco and Miami. In this new blog series, we share some of Karen’s best finds. Elevate your winter cocktails and save some dough. There’s nothing like warming up with a hot cocktail on a winter day. This two-volume set of cocktail recipe books includes plenty of cold-weather recipes, including a Montanya twist on Bulletproof Coffee. Click to learn more (and try out that coffee recipe). Montanya DIY Holiday Gift Ideas! If you are skiing at Crested Butte Mountain Resort, you probably know The Avalanche Bar and Grill - one of CB’s iconic slope side bars and restaurants. The Avalanche has become known as the place to go for a Painkiller made with Montanya Oro Rum! This cocktail is called The Super Chocolata because it is made from several superfoods: raw cashews and raw cacao. Adding Himalayan salt and coconut milk also add highly nutritious elements. Why not give yourself a healthful boost during cocktail hour too? In our July Bartender Feature, we talk with John Culbert of Flip Side in Breckenridge, Colorado. 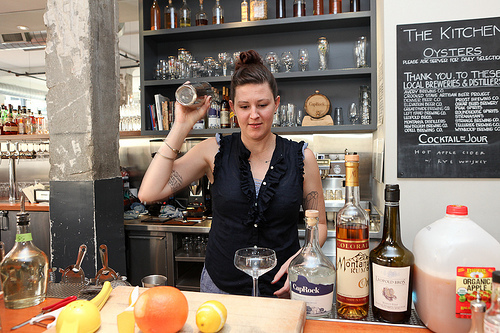 In our March Bartender Feature, we talk with Laura Banning of The Hornet in Denver, Colorado. The Hornet was one of our very first bar/restaurant supporters in Denver when our distillery was just getting its start. They have been committed to featuring our rums on their cocktail menu for YEARS and we couldn't be more full of appreciation for this amazing place. This year, Montanya Distillers celebrates our Tenth Anniversary and we will bring the party to Denver to host a party at The Hornet on May 20th. Details to come, stay tuned! In this springtime return to our popular bartender feature, we talk with Zachary Sipherd, general manager at Adrift, and Les Baker, head bartender. Together they discuss how they use Montanya rum, what they wish people knew about bartenders, a most exciting cocktail-making ingredient, and what sets their bar program apart from the crowd. This month in our bartender series, Montanya Distillers visits with the bar staff at SOCIAL in Fort Collins. Three key bar staff converse with us about why they enjoy making rum cocktails, a favorite Montanya rum cocktail recipes, and what makes Social such a unique cocktail destination. This month, Montanya Distillers highlights The Farmhouse at Jessup Farm, a farm-to-table restaurant and bar in Fort Collins. Owner Jesse Doerffel describes the vision of what she and Chef Joel Navejas wanted to create as “elevated comfort.” This cozy, welcoming feeling comes across in all aspects of the space, and the experience is enhanced by the ‘Colorado Rustic’ food and exceptional cocktails. 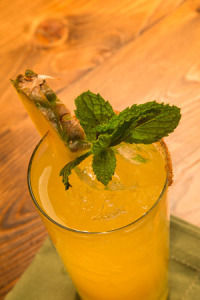 What better way to start your day than a Montanya Rum brunch cocktail at Snooze in Denver. This month, we highlight the creative geniuses behind the cocktail menu at the Ballpark Snooze location on Larimer Street in Denver, who reveal their inspirations, favorite drinks and brunch-time wishes. If you ever find yourself in the heart of Colorado wine country, you must pay Bin 707 Foodbar a visit. Started by Josh and Jodi Niernberg, Bin 707 is a chef-driven restaurant designed to feature local first, Colorado second and domestic third. With the best products and freshest produce available from the Grand Valley, it is the place for Seasonal American fare in Grand Junction. Bin 707 features an extensive craft cocktail menu and program of almost exclusively Colorado and domestic spirits, and the Niernberg’s have been serving Montanya Platino rum as their house rum since their restaurant opened its doors. This month, in our Montanya Monthly Bartender Series, we’re highlighting four fabulous bartenders from Bin 707. They share their favorite cocktail recipes, what it takes to be a craft cocktail mixologist and what it’s like to be a part of the Bin 707 family. What is your favorite rum cocktail? I typically go straight for the mojito, especially the one we serve at Bin 707 called “The Ernest Hemingway.” The Montanya Platino rum and cucumber is so refreshing. A good mojito is hard to beat. I did make a great drink with Montanya recently – it featured jasmine liqueur, fennel bitters, lemon juice, simple syrup and ginger beer. It was pretty tasty! What do you wish more people knew about bartenders who develop craft cocktails? I wish people had a better understanding of how much work and passion actually goes into it. Not only do the drinks take longer to build than a basic vodka soda, but all the ingredients are house-made – at least, they are at Bin 707! House-made bitters, tinctures, shrubs, infusions, syrups, gastriques… takes a lot of time, but it’s completely worth it. What is your favorite thing about working with Colorado craft spirits? I love that we have a huge amount of incredible product right in our own backyard. It’s so much better for the economy to support local businesses rather than large conglomerates that have no real ties to us. With all the wonderful produce and landscape Colorado has to offer, the products produced here are not just local, they’re high quality and delicious. We’re very lucky to live in such a place! Who is your hero and greatest inspiration in your work? I wouldn’t necessarily say I have a hero, though, I am and have been inspired by many of my coworkers over the years. 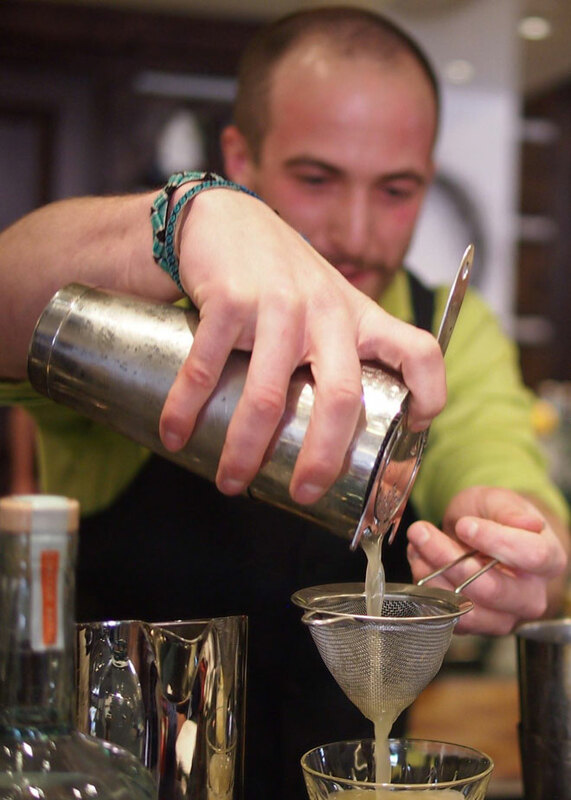 Watching and learning, picking up various approaches – it’s all helped me become a well-rounded bartender. I feel it’s not always about mixing the perfect drink, but understanding what we do and why we do it. I’m the direct outcome of the people who took the time to show me the ropes. I’m very thankful for that and to them. 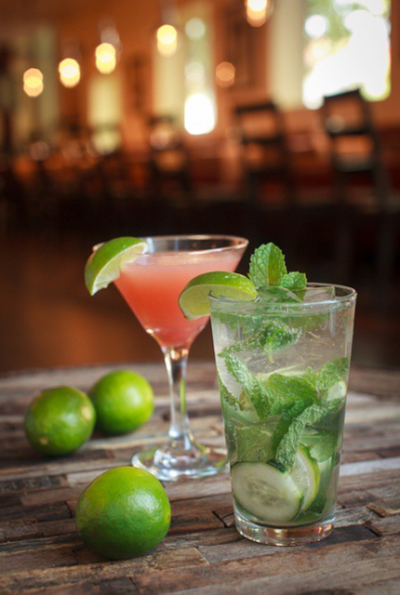 It’s hard to beat a classic mojito on a warm Colorado day. It’s the ultimate patio drink. When I’m feeling tropical, I tend to lean towards the Mai Thai – throw it in a pineapple. Actually, throw any rum concoction in a pineapple, and I’m set. How do you use Montanya rum in your bar program? We are fortunate enough to feature Montanya rum as our house rum. Here at Bin 707, we like to source locally first, so I’m constantly reminding guests that the rum they’re enjoying is from a super cool, local distillery. Montanya’s Blanco rum is also featured in our “Ernest Hemingway.” It’s a spin on a mojito with house-made lemon bitters and muddled cucumbers. I’m not really sure people truly understand the time that can be spent developing craft cocktails. For many of us, it has become our livelihood. We spend hours studying, dreaming and developing individual components. From bitters to shrubs, to the type of spirit that’ll work best in the drink. There’s a lot of trial and error and it can become very discouraging at times. Turning that late night concept into a reality can be a lot harder than it seems. Pushing through can be a necessity in distinguishing yourself as a bartender. As they say, the juice is worth the squeeze. I really enjoy learning all that Colorado has to offer in craft spirits and educating people on what we do here in the mountains. Colorado offers many spirits that are made with local products that make it truly unique to the state. From your basic vodka to a full-flavored bitter liqueur, Colorado offers craft spirits that are high quality, locally sourced and a great substitute for your well-known, big box brand spirits. Craft cocktails are special in a sense that the cocktail requires a certain “finesse” to execute it properly and (most importantly), consistently. Bartenders constructing craft cocktails are building a cocktail that is made with specific ingredients and concise measurements in order to ensure balance and that perfect flavor that lasts the whole drink through. I’ve always said I make my cocktails with “love” and I believe that craft cocktails require a bartender that takes a lot of pride in what they do. What’s the most memorable cocktail you have made with Montanya rum? I recently made a cocktail with Montanya white rum that I called the “Rum-Springer.” It’s a variation of the classic Mint Julep. The “Rum-Springer” features muddled mint, Montanya white rum, ginger liqueur, fresh lemon juice, simple syrup and vanilla bitters. I serve it in a mug with crushed ice and garnished with a mint leaf. What sets your bar program apart from others? It’s a pleasure to be able to work with others who are passionate about creating a quality dining experience and being able to showcase purely Colorado products. I get to interact with guests who travel to Grand Junction from all over the United States. Colorado and the Western Slope has so much to offer and I’m thrilled to be able to share that through local produce and Colorado crafted beer, wine and spirits. It makes the Bin 707 truly unique. What’s your favorite rum cocktail? We’re featuring a brand new Montanya cocktail called “The Bin Fall Spritz” through November. Stir for about 45 – 60 seconds to both dilute and texturize. Top with soda and garnish and serve with a stir straw. In this month’s Montanya Mixology Series, we’re exploring the Flatirons of Boulder, Colorado and highlighting The St. Julien Hotel & Spa’s T-Zero Lounge. This bar offers a modern, yet contemporary rendezvous for signature cocktails, handcrafted with love and inspiration by some of our favorite bartenders, like Andrew Amaro. Andrew is a great friend of Montanya’s and a recipe of his is featured in Montanya’s upcoming cocktail book (details coming soon)! In this post, he talks about what sets the T-Zero Lounge apart from others, his favorite rum drink, and he shares the recipe for The 401, named after a popular mountain biking trail in Crested Butte. What sets your bar program apart from all others? We are so lucky to be living in Colorado; the unique landscape, beautiful mountains, the abundance of amazing cocktail bars and the great community of Colorado bartenders. We aren’t afraid to step out of the box and create cocktails that are true expressions of creativity. At the St. Julien’s T-Zero Lounge, we showcase our creativity through house-made syrups, bitters and juices. Our guests demand freshness and quality. I like to call this ‘healthy drinking.’ By juicing our own fruits, we can provide the freshest cocktails and deliver a high quality drink. Our passion is on display at the bar and we love to pass it on to our guests. Montanya Rum is an integral part of our bar program. We try to use as many local spirits and products as we possibly can. When showcasing that, we make sure that guests are properly educated about the passion Karen Hoskin [co-founder and owner of Montanya Rum] and her team puts into distilling their rum and creating rum cocktails. It is evident in the taste and the ability to showcase passion in a cocktail. What makes for a great night of bartending? It’s really about getting into a flow with your fellow bartenders. Reading each other is critical to ensuring proper service to our guests. When you are at the height of the busiest point in your night and you can craft drink after perfect drink and get in that zone… well, that’s when you know you’ve achieved a great night of bartending. After all is said and done and each bartender is still smiling, you know you’ve conquered the night. My favorite Montanya Rum cocktail is the Jamaican Rum Crème. I remember my first visit to Crested Butte, Colorado; we had just skied a full day and headed into Montanya. I had one sip of this amazing cocktail and fell in love with it. I believe I had about three or four Jamaican Rum Crèmes before I moved on to try another! I have tried to recreate it several times, but it’s just not the same as the one I had in Montanya’s rum bar. At T-Zero we have a cocktail called The 401, named after a popular mountain biking trail in Crested Butte, Colorado. The cocktail features Montanya rum, of course. Shake and strain into a martini glass. Top with four drops of black pepper tincture and garnish with half a strawberry. Whenever the Montanya team travels, we stop off at Lounge 5280 at the Denver International Airport (DIA). It’s in the B Main Concourse, on the Mezzanine level, and it’s one of our favorite places to grab a cocktail and snack before taking off. It has a stylish and upscale bar with a contemporary edge, and offers premium and unique cocktails. It also features Montanya rum on its regular menu along with a full menu of artisan cocktails made with Colorado craft spirits. This month, in our Montanya Bartender Series, we’re highlighting five bartenders from Lounge 5280 in Denver. They share favorite cocktail recipes, surprising insights on clientele and what it’s like working at an airport bar! What’s unique about your clientele? Even though we’re in an airport, more than 40 percent of our clientele are regular patrons. The most gratifying detail is that people schedule their flights around an opportunity to come up to 5280 for a cocktail crafted with local Colorado spirits, a glass of wine, or one of Colorado’s craft beers. Customers can accompany their libation with our assortment of provisions; including fresh shrimp cocktail, roasted beet salad, marinated olives, ahi tuna and our seasonal flatbreads. Is working in an airport setting organized chaos every day? Yes, but it provides a fantastic opportunity to connect with people and learn what makes them tick, where their jobs might take them, or what fantastic vacation they are jetting off to. I think the most entertaining part of the day is the thrilling travel stories we hear. It is wonderful to have an opportunity to meet local distillers face-to-face or see them in action, which creates an unparalleled connection. The passion behind the product demonstrates the quality and creates excitement for new customers trying local spirits. It’s a great conversation piece for our customers. Why do you use Montanya Rum in your bar program? Karen Hoskin at Montanay has been an inspiration to me over the years. She is doing what she loves and she exemplifies a model businesswoman with ambition. She shows me that you can have a career and still be a wonderful mother! The balance of work and home is something that can be challenging, but gratifying. Offering Colorado spirits & cocktails to the everyday traveler has so many rewards and being able to expose customers to our Colorado proud spirits is very fulfilling. At Lounge 5280, we have to compete and offer quality options to a captive audience, so focusing on a high level of customer service and quality has been our goal since day one. Add Platino rum and orange juice and shake. Serve over ice and top with ginger beer. Muddle fresh raspberries and mint. Add Platino rum and lime juice and shake. Serve over ice and top with Pellegrino. Garnish with fresh mint and orange. What do you like the most about working with Colorado craft spirits? It makes for great conversations and good experiences for people from all over the country, who try our Colorado craft spirits. It’s great being able to educate and show off, to our customers, what great tasting spirits we have in Colorado. A traditional mojito, with silver rum, turbinado simple syrup and fresh squeezed lime juice. What do you like about Lounge 5280? I have been at Lounge 5280 for close to a year and have been learning a ton about craft cocktails, as Classic Mojito (also shown with a Blackberry option)well as craft beer. I started bartending in Los Angeles and learned about craft cocktails there, but what I like about Lounge 5280 is we use fresh and locally-sourced ingredients, as well as local spirits and beer. Piña Colada because it's a classic and most people I've found either don't make it correctly or just avoid it completely. Blend all the ingredients together and garnish with pineapple and cherry. However, I personally don't like it blended and at Lounge 5280 I make it a little different. Shake all ingredients together, serve over ice, and garnish with a flag (cherry and an orange). I was born and raised in Colorado so for me it's a sense of pride. By introducing people to something from my home state that someone else put their heart and soul into is a way for me to give back to Colorado and the people who give us these delicious sprits. My idea of a great night of bartending would be a busy night where the whole team comes together and everything runs smoothly, you have great guests and just have a fun night. To me, bartenders who develop craft cocktails seem to have more heart towards the cocktails they create and are more proud and excited to introduce people to these craft cocktails. What makes a great night of bartending? Meeting the standards of my customers and helping them have a memorable experience. I love making cocktails from scratch and using fresh squeezed ingredients. More than half our cocktails are made with Colorado spirits as the main focus and it’s great being able to tell customers about the background of Colorado spirits. Sam Gemus of Justice Snow's in Aspen, ColoradoIn this second installment of our Montanya Bartender Series, we’re traveling up into the Colorado mountains and highlighting Justice Snow’s. This restaurant, in historic Aspen, is wildly popular for its hand-crafted cocktails with fresh ingredients and inspiring creativity. This bar and restauraunt has the most extensive cocktail program west of the Mississippi. Montanya Distillers is honored to be featured regularly on Justice Snow’s cocktail menu. In September, 2014, the entire staff of Justice Snow's hiked over to Crested Butte (and Montanya Distillers) for a comprehensive distillery tour, tasting and rum pairing cocktail hour with appetizers at the Montanya Distillers Tasting Room. In May, 2015, Justice Snow's bartender Jacob Johnson joined Montanya's staff in Crested Butte for two days as part of our Bartender "Bar Stage" Program. 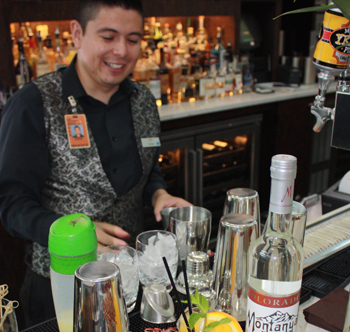 We love to host talented bartenders at our rum bar to learn a bit about our specialty, craft rum mixology. In June, 2015, we will be collaborating with Justice Snow's on a Montanya Cocktail Party as part of Aspen Food and Wine. More details will be announced soon. In this feature Samuel Gemus, a bartender at Justice Snow’s, explains what makes a great night of bartending, his favorite Montanya cocktail and a must-try rum recipe. The Justice Snow's bar program is different for two reasons, scale and speed. With a bar menu that once exceeded 150 cocktails and patrons that are usually two to four people deep at the bar, the bartenders have to be skilled and fast. 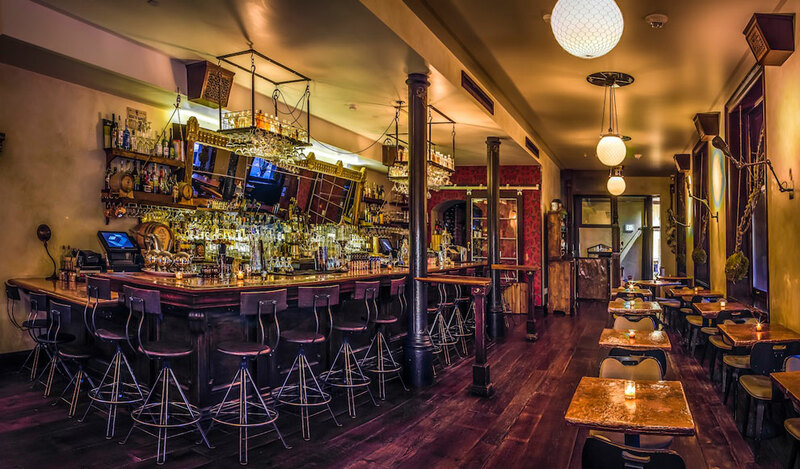 Most cocktail bars have the luxury of only seating people in how many chairs they have; that's not the luxury we get here. We often fill to standing room only. We as a bar staff must have incredible depth of knowledge, extremely precise hand work and superb social skills to handle such thirsty crowds. 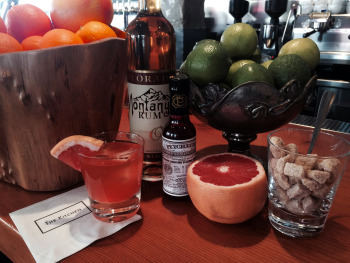 Montanya Rum is one of the amazing Colorado spirits we like to feature in our bar program. With a cocktail menu as extensive as Justice Snow’s, the best place to feature a local distillery is on our opening statements page, which is our first two pages of the book, and where you’ll often find Montanya. With so many amazing Colorado distilleries, we now feature mostly local products on our Opening Statement menu. A great night of bartending has many faces. When the light is at the perfect dim, the music is at the perfect decibel, the background noise is scattered with laughter, and there’s a pronounced sound of ice banging around in the shaker. Everyone is working hard to create a great ambience for every single person. Then after the dinner service the band shows up ready to rock, the tables get pushed to the side and everyone dances, drinks and shares a great night with friends and strangers. That is the perfect night for a bartender. Tiki Old Fashioned from Sam Gemus, Justice Snow'sMy favorite Montanya Rum cocktail came about when I was tinkering with some classic recipes. I threw a brown sugar cube in a rocks glass and put a dash of orgeat syrup along with several dashes of angostura bitters and tiki bitters. I then muddled the sugar cube down very finely and added some Montanya Rum along with ice and a lemon, or sometimes an orange peel. This is one of my favorite ways to make a rum Old Fashioned. What do you wish more people knew about Justice Snow’s? I wish more people knew that at Justice Snow’s, we work to restore culture within our drinks. Many places all across the country serve people too many drinks and then you lose the great tastes and sensations behind the drinks. For example, a well balanced Rum Manhattan can truly open someone’s eyes to how beautiful rum can taste, giving them another amazing option and gets people thinking beyond Rum and Coke. Kiley, the dynamic and delightful proprietor at Justice Snows, is a particular fan of the Fiery Passion cocktail at Montanya Distillers rum bar in Crested Butte. (You are not mistaken that Montanya has a strong history of enjoying the company of other women-owned businesses in Colorado and around the world!) We have included Kiley's favorite cocktail here so you can share her love of this spicy, dramatic passionfruit recipe. As we highlight bartenders we have come to love, we’d also like to hear from you. If you know about a bartender who is making innovative cocktails with Montanya rum, we'd love to consider them for a future post. And if you haven’t already, check out last month’s feature on The Kitchen Denver. Courtesy of The Kitchen Denver"One of the most fun things we get to do at Montanya Distillers is meet some incredible bartenders whose creative energy inspires exceptional Montanya rum cocktails. Their passion for what they do is amazing to experience, and today we’re bringing them to you through a feature highlighting some of the very best in the biz." Our monthly Montanya Mixology Series features some of our favorite bartenders, as well as our favorite places to drink Montanya Rum. As we highlight bartenders we have come to love, we’d also like to hear from you. If you have a bartender or bar/restaurant you’d like to recommend for future consideration, please click here to learn more. To kick things off, we’re starting with our colleagues at The Kitchen Denver, a garden-to-table restaurant known for consciously sourcing and serving up delicious cuisine in an incredible eco-friendly urban space with a wonderful cocktail menu. The following article features three of The Kitchen Denver bartenders and four impressive recipes they have been generous enough to share with us. Kyla Ostler, Bar Manager at The Kitchen DenverFirst, we asked The Kitchen Denver’s Bar Manager, Kyla Ostler, about her favorite rum drinks and how she uses Montanya. Her answers, as well as favorites, recipes and insights from three other bartenders from The Kitchen Denver, lead our series. At Montanya Distillers, we know that Kyla plays a critical role in hand selecting spirits and guiding her bartenders to use Colorado craft spirits. What I love about Montanya Rum is that it makes rum so approachable. I have found that there are a lot of people who had a really negative early experience with rum (coconut rum + high school, terrible combinations like that) and as a result they have written rum off completely. Such a mistake. So, to be able to tell our guests that we have a Colorado craft rum that uses Louisiana sugar cane and is made in Crested Butte - that’s an easy conversation, how can they say no? You have to try it! It’s aged in Colorado Whiskey Barrels, come on! I’m incredibly lucky to have a super creative, passionate, talented and very knowledgeable bartending team that uses The Kitchen’s philosophy of letting good ingredients shine. I think our most successful cocktails combine the best of what the season has to offer with Colorado spirits in simple, delicious ways. I think that we use Montanya Rum to enhance our guests experience by showing them a product that they can connect with because it’s made locally by real people. What’s your most memorable cocktail with Montanya Rum? I would say that the Raddington is probably my most memorable cocktail with Montanya Rum because it was the first one that I did at The Kitchen Denver. It has been a great experience to get to learn about all of the amazing distilleries, breweries, and farms that we work with at The Kitchen. I think that the Gold Fashioned might be my favorite Montanya Rum cocktail that I've created so far. I love that the presentation and ingredients are so familiar and approachable and I think it really highlights the Montanya Oro Rum beautifully. Just a bunch of happy people on both sides of the bar! That's the main thing that I try to bring to work every day and even when I go out to eat or drink. It's all about having fun and enjoying the experience! Shake in a cocktail shaker, not including the absinthe. Use a small bit of absinthe to rinse a coupe glass, pour drink, garnish w/ a grapefruit swath. Muddle the sugar and the grapefruit then add Rum, stir. Pour into small rox glass with big cube. Garnish with a grapefruit wedge on the glass rim. Serve in a coupe glass with a lemon swath twist. Shake in a cocktail shaker. Pour over crushed ice. Top with whipped cream and dust with cinnamon. FEATURED BAR TEAM FOR APRIL, 2015 - THE KITCHEN DENVER! Recipes, bartender interviews, photos and more in this monthly bartender feature from Montanya Distillers! One of the most fun things we get to do at Montanya Distillers is meet some incredible bartenders whose creative energy inspires exceptional Montanya rum cocktails. Their passion for what they do is amazing to experience, and today we’re bringing them to you through a feature highlighting some of the very best in the biz. Three-and-a-half years ago, the Hoskin family pulled up every stake we had set down over a decade and relocated two adults, two children and two companies to Crested Butte. In transit, we looked like the Clampetts of “The Beverly Hillbillies,” except Granny and Jed didn't come along and our dog passed away on the eve of our departure. We made five trips with an overloaded trailer for the house and some immeasurable number of trips from Silverton with the equipment, supplies and inventory of Montanya Distillers and Mountain Boy Sledworks (the latter company we sold in August 2012). The trailers had stills and sleds, skis and bikes poking out in all directions. It was, we knew from the first moment we unpacked in Crested Butte, one of the best decisions of our lives. Today, Montanya Distillers occupies two commercial buildings (5,200 square feet in total) in Crested Butte and has grown our rum sales from distribution in 15 states in the USA to distribution in 39 states and 5 countries overseas. Visits to our tasting room and bar have increased by thousands of people every year just by being on the main street of downtown. We played a game of hopscotch on Elk Avenue trying to find the right building on the right block, but in November 2013 we settled in at 212 Elk Avenue. We knew immediately it was going to be our HQ for a long time to come. We now employ 11 locals in year-round jobs and regularly engage five local companies to do our accounting, payroll, cleaning, plumbing, engineering and architecture. Coming from Silverton, we knew it was luxurious to find so much talent in a tiny mountain town. This family of employees and subcontractors is one of our greatest pleasures because so many people tried to warn us it would be hard to find good people in a seasonal mountain town. We found not good people but great people to work with us at every level of our company. They give Montanya its joie de vivre every day. Some folk said the town regulations would be hard to handle and navigate. Instead, we found a group of town employees and elected officials committed to local business development and willing to help us wade through the compliance that comes with any new and unusual business like a local distillery, Crested Butte's first. Our rum has now accumulated 18 gold and silver medals, as well as two Best in Class and a Distillery of the Year designation from some of the country's most well respected trade organizations. We hope to bring this pride home from San Francisco and Los Angeles to Crested Butte because Crested Butte contributes so much to making our rum great: incredible water, great people and ideal facilities. This month, we celebrate 6 years of making rum in Colorado. Cheers to many more years to come and enjoy our many hand-crafted rum cocktail recipes, including The Hottanya below, which is perfect for the upcoming winter season. Fill a mug with hot water, rum and Hottanya mix or warm together on stovetop to make piping hot. Stir, top with whipped cream and sprinkle with nutmeg. Soften ice cream and mix all ingredients in a blender or a bowl with a durable mixer. This makes a large batch that can be stored up to 4 months in a freezer. Karen Hoskin is president of Montanya Distillers, which she owns with her husband, Brice. She plays a strong role in choosing distilling cuts and selecting spirits that are ready to bottle from the barrel and participates in and helps manage the bottling lines. 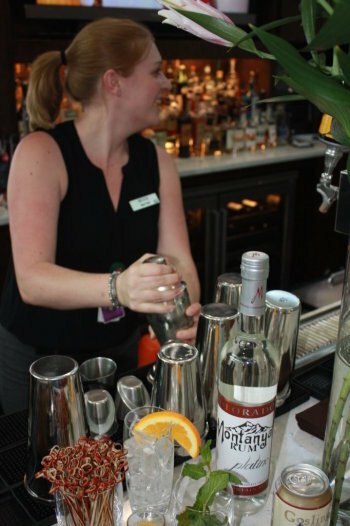 She also handles national sales and marketing, product development, mixology and the busy rum bar.